The United Federation of Planets (UFP) is the largest known interstellar planetary alliance in the Star Trek Galaxy and the most important power in the Alpha and Beta Quadrant. It is, so to speak, our "home", because in Star Trek, the Federation symbolizes our cultural and moral values and the human virtues. Star Trek: The Original Series, Star Trek: The Next Generation and many of the movies were set within its borders, Star Trek: Deep Space Nine more rarely and Star Trek: Voyager almost not at all. Despite the outstanding significance of the Star Trek saga, we don't know very much about the planetary alliance which we have grown fond of in 35 years. Therefore, in the following chapter, it shall be tried to find out as much as possible about the situation, structure, size and shape of the Federation. The United Federation of Planets is located - and that is accepted by all official sources - in the heart of the known Star Trek universe, about 24000 ly away from the Galactic center in the Local Arm of the Milky Way. The Federation is the largest of the six known empires in local space and the sole power to extend over two quadrants - the Alpha- and the Beta Quadrant, therefore the Federation takes a special position concerning the Jankata Accords signed by all powers. Although the quadrant border, the position of the most important planet: Earth, with the Federation Council, the Federation President's Office and Starfleet Headquarters, is situated nearly in the center of the territory of the Federation, the share of the total area that is located in the Alpha Quadrant is nevertheless larger than the part in the Beta Quadrant. Surrounded by the 5 other larger alliances and empires, and a dozen smaller ones like the Talarians, the Tzenkethi, the Gorn and the Trill, the Federation is a typical "middle power" - it is the "connecting piece" between the classical empires of the Klingons and Romulans at the Eastern border in the Beta Quadrant and the territories of the Cardassian Union, Bajor, Ferenginar and the Breen at the Western border in the Alpha Quadrant, regions that were not discovered until the 24th century. Undoubtedly the United Federation of Planets is the strongest power in the Alpha and Beta Quadrant, however, the officially fixed extension of the Federation is so large that the resulting problems can't be simply ignored without further considerations, but have to be solved. In the end, this isn't possible without a sophisticated theory, which shall be developed in the following section after the examination of the aspects "pro large Federation" and "con large Federation". To say it straight to the point: according to the Star Trek Encyclopedia, the Federation has a diameter of 10000 ly, a figure that is also affirmed by all other official documentations and has been specified to 8000 ly in Star Trek: First Contact. It is true that we know only few further definite facts about the extension of the Federation, however, most official sources mistakenly imply that the Federation would cover 8000 ly with a more or less unified territory, an assumption that is supported especially by the infamous "Milky Way maps", which depict a several (ten) thousand light years large territory for every single power. Consequently, even at maximum warp, a patrol ship would need several years to travel through the giant empire only once - not to speak of the fact that the vessels of everyday traffic like freighters and personal transporters mostly can only attain the cruising speed of warp 6 and furthermore have to stop at a starbase after some weeks of flight for maintenance, repair or fuelling (typical ships need tons of deuterium and a antimatter replacement every 3 years). These circumstances increase the horrendous travel time of decades still by many years. Although the official extension of the Federation given by the official publications was fixed too often and too definitely not to be regarded as an affirmed basis figure in the Star Trek universe, amazingly in most episodes and movies, which finally have built up most of the Star Trek Galaxy, the size of the Federation is not the same, but considerably differs. Especially in The Next Generation episodes, the shown maps of the galaxy, which are usually based on the official Federation size or even depict larger space regions, contradict completely with the shown travels of the Enterprise within very limited time (usually hours or days at maximum). But also in the other Star Trek series, maps or given distances don't match with the longest possible duration for the journeys (e.g. the time between two episodes). 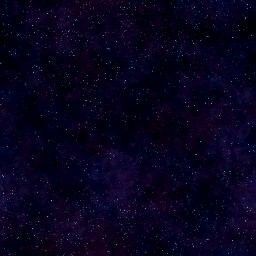 In Star Trek: Deep Space Nine, however, first signs of a realistic redefinition of the distances in the Star Trek universe are recognizable, because merely detailed maps are used instead of maps of the entire Milky Way, and the mentioned distances to important planets (Cardassia, Ferenginar, Trill) are all within 100 ly from DS9. With its three-dimensional astrometric maps, Voyager hasn't gone into the size of the Federation yet, but the permanent disregard of the Beta Quadrant (the most obvious error was in "Barge of the Dead": "the Borg have assimiliated a Klingon Bird of Prey in the Alpha Quadrant") and doubtful ideas like the Jankata Accords, which actually shouldn't apply to the Federation as a inter-quadrant power, mars the hope for the future. Now, the following detailed examples will prove how the various TV episodes and movies support a "theory of a small Federation" (TSF) in most cases, instead of the officially supported "theory of a large Federation". In this episode, we see a very interesting map of the Milky Way in the communications room of Star Fleet Headquarters, displaying the Federation by three-dimensional boxes. In terms of size and shape of the Federation, the chart corresponds with the other official, but meaningless maps. However, the boxes can't be sectors, since one sector only cover 20 ly and the total extension would be accordingly only about 1000 ly - what, on the other hand, is not supported by the size of the Federation in proportion to the size of the whole Milky Way, that is shown in the background of the map. In the science lab, Prof. Galen presents an extensive, but unfortunately not labeled map of the galaxy, which appears to be, however, as unrealistic as the map in "The Conspiracy", especially because the shown distances are already refuted by the episode itself: Prof. Galen really wants to travel - that is at least what he shows on the map - from DS5 in the upper Beta quadrant to Indri VIII in the lower Alpha quadrant within a few weeks - by shuttle! It is obvious that the authors intended to distinguish different points on the map when Galen showed his route, and therefore chose distances of thousands of light years, but the question arises why they then didn't use a smaller, detailed map from only a part of the galaxy - like the map in the stellar cartography in Star Trek: Generations. In the chart as it is, the Federation seems to be, in contrast to most other maps, even larger, about 20000 ly. Another, "Star Trek concurring" explanation could be that Prof. Galen, like many historians of our time, used a historical map instead of a chart with the current political situation - that means that the supposed empires of the Iconians, Debrune, T'Kon etc. are depicted, which are of course considerably larger than the present empires and alliances. Then, he himself exaggerated when showing the different points on opposite parts of the Alpha / Beta quadrant. However, in the end the actual use of the map for the determination of any distances in the Star Trek universe is zero. In Keiko O'Brien's school, we see some very interesting charts on the wall - among them, a map of the Milky Way which looks somehow familiar to us. On closer examination, we see that it is indeed an extended version of the map from [TNG] Conspiracy. The single stars in the cubic spatial volumes are now labeled, and a degree-based graduation is recognizable. Whiles it seemed to be a communications map of the Federation in [TNG] Conspiracy, the chart now seems to represent the whole known part of the Galaxy. Correspondingly, not only Federation planets, but also the core planets of all other known empires of the Alpha and Beta quadrants are marked, e.g. Bajor, Cardassia, Qo'noS, Romulus and Trill. Although undoubtedly, the chart is the most complete and detailed map of the entire explored space ever seen in Star Trek, it nevertheless isn't realistic at all, but is "only" one of the many maps in the series created for mere aesthetic purposes, which just wasn't drawn on the basis of the numerous facts and distances established over the years and the information provided by the real astronomy. This is proven by the wrong situation or distance of the contained real stars Alpha Centauri, Tau Ceti, Sirius, Rigel and especially Deneb (which shouldn't be included in the map at all, since this star is more than 3000 ly away from Earth), and the positions of some of the contained planets not affirmed by the voyages shown in the episodes such as Trill and Qo'noS, which are both located at far too remote places on the map. At any rate, canon or noncanon, scientifically correct or not, the map seems to support the "theory of a small Federation" as well, if the distances of the correctly marked real stars are used as a scale. "Cestus III is located at the opposite border of the Federation, so far away that even a suspace transmission travels 3 months to reach this planet. "At maximum warp, Cestus III is almost 8 weeks away from the station." It is a rather unexpected case of luck that twice, the distance to a planet at the border of the Federation in the Beta Quadrant is mentioned. However, at least the numbers of the first statement must be wrong because an amplified subspace transmission (V = warp 9.9999 = 199516c) can cover almost 50000 ly in 90 days, what is then far too much for the diameter of the Federation. However, on the basis of the first statement (Cestus III as a fixed point at the "Eastern" border of the Federation), the second one is more useful. Although we don't know exactly what the "maximum speed" is considered to be, we can assume a speed between warp 9 and warp 9.9 - what results in a small Federation diameter of 200-500 ly. "The distance to our previous location [near Cardassia] is almost 200 ly [...] We're orbiting K-7, one of the old deep space stations near the Klingon border." This quote does not directly deal with the size of the Federation, but because the Cardassian and Klingon Empires directly adjoin the Federation in the "West" / "East" and therefore the distance between these two empires defines the diameter of the Federation, we can indeed say something about the size of the Federation by analyzing the given distance. Undoubtedly, the Federation must have a horizontal diameter of less than 200 ly according to the statement. We can even specify this assumption: according to the map of the Bajor Sector in the ST:DS9 TM, Starbase 375 (which is located at the border of the Federation in the Alpha Quadrant) is located approximately 30 ly away from DS9, whose distance to the Defiant is merely a few light years at the moment of the time travel. Hence, a Federation diameter of about 170 ly is used in this episode, what again supports the "theory of a small federation". However, on the other hand, the figure is a bit too low in comparison with other DS9 episodes. Nevertheless, we can still argue that Dax roughly rounded the distance, and that K-7 is located in the "lower part" of the Federation-Klingon border, what would considerably boost the distance to DS9. "Therefore he appeared somewhere near you, even if you were hundreds of light years away from the place the accident happened." This statement is very similar to that one from [DS9] Trials and Tribble-ations , but this time, the distance Earth-DS9 is directly mentioned. However, that doesn't seem to help us much, since an exact figure is not mentioned. Nonetheless it confirms a considerably smaller Federation size, since the quote suggest that Earth is "hundreds of light years" (and not thousands or even tens of thousands of light years, how one could think in view of the official Federation diameter) away from Deep Space Nine. "The training mission should last 3 months [...] It was our mission to fly around the entire Federation [...]"
Again, this statement indicates a much smaller and more logical Federation diameter. Of course, to travel 10000 ly (taking this diameter, the actual perimeter of the Federation would even be considerably larger) in 3 months is completely impossible, even at the maximum speed, which can be sustained for only a few hours (Defiant class vessels: Warp 9.982). On the basis of the given time of three months and the maximum permanently sustainable speed of the Defiant class - warp 8.9 (at speeds of warp 9 and above, ships of this class have difficulty in maintaining structural integrity) -, we get a maximum Federation perimeter of 361 ly, and therefore a maximum diameter of only 90.25 ly, assuming a nearly quadratic shape. Indeed, a Federation with a diameter of less than one hundred light years seems to be the favored model since DS9's 6th season - although a too small extension is as problematic as a two large one. "The Federation consists of 150 planets, spread over 8000 ly"
The sole movie which provides an exact figure concerning the size of the Federation, clearly seems to support the model of a large Federation, continuing the tradition of The Next Generation, where remote regions of the Federation were explored, and in contrast to Deep Space Nine, where all core planets and empires were crowded in a region with a diameter of hardly a hundred light years. Not only does this statement underpin the official extension of 10000 ly fixed by the Star Trek Encyclopedia, but it also specifies it. And since it apparently hasn't any reference to the actual plot, we can assume that it is an universal, theoretical statement. Beside the various quotes from episodes and movies, there are indeed some further arguments, supporting the one or the other theory. In fact, using some simple mathematic formulae, the maximum Federation size can be also calculated by examining the numbers of the contained sectors. It is well-known that the sectors at the farthest "Western" border, near the Cardassian Union, have 5-digit numbers, by 25,000 ([TNG] The Wounded etc.). Because these sectors were the last ones to join the Federation (expansion of the Federation only in the Alpha quadrant in the 24th century - see the "Growth aspect"), we can assume that there are 25,000 Federation sectors at maximum. Probably, there are much less considering that the sectors are often numbered inconsistently or arbitrarily. Using this assumption, we now can calculate the maximum Federation area. Depending on the used sector definition - 20 ly as the diameter of a cubic volume, resulting in a side length of 11.5 ly (20/sqrt(3)), or 20 ly as the diameter of a two-dimensional plane with a side length of 14.1 ly (20/sqrt(2)), or simply 20 ly as the side length of a sector, there are different results. Since we anyway want to calculate the area and not the spatial volume of the Federation and, with regard to mathematics, the latter assumption is completely incorrect, we use 14.1 ly. With this side length, a sector area of 200 ly� can be calculated (0.5*20�). Provided that there are 25000 Federation sectors, this results in a total Federation area of 5,000,000 ly�. If the Federation has nearly a quadratic shape, the side length then is 2236 ly and the maximum diameter is 3162 ly. Hence, a Federation extending over several thousand light years is at least supported by the sector system. Although the offical maps are usually quite sketchy and often contain less than half a dozen significant points, there are some distances marked on nearly every map, for instance the Barzan wormhole. Because concerning this locally instable phenomenon, beside the situation of the terminus in the Delta Quadrant, also the distances from this location to two further points in the Alpha Quadrant is known, we can use these fixed points for the determination of the (minimum) size of the Federation. In [TNG] The Price, the distance Barzan - Delta Quadrant terminus was given with 70000 ly. This terminus was discovered by Voyager in 2373, at the beginning of the third year of its journey, what roughly corresponds to a distance of 74000 ly from Earth. The points Barzan-Earth-Voyager 2373 now form a general triangle, of which we know the length of the two adjoined sides, but not the included angle. However, we know that in view of the low difference between the two incredibly large distances, the angle must be accordingly very small. With this assumption, we can use the cosine theorem (c�=a�b�-2ab*cos(gamma)) to determine at least a range for the length of the third side (Barzan-Earth), inserting the smallest possible angle (0�). Logically, this results in a length of at least 4000 ly (at 0.05� 5380 ly, at 0.1� 8231 ly) for the distance Barzan-Earth. This shows that transgalactic situational relations again support a considerably larger Federation in contrast to what was indirectly shown for instance in ST:DS9. However, this can be explained that in a galactic scale, the Federation is probably regarded with all its parts and colonies. Although most real stars that were mentioned in Star Trek as Federation outposts or outposts close to the Federation are located within 200 ly from Earth and therefore seems to clearly fix the core region of the Federation, there are three stars which are very far away from Earth and are nonetheless within or near Federation space. These three stars - Deneb, Antares and Rigel - are therefore often called "boundary stones" of the Federation. They mark the outmost borders in the West, North and South of the sphere of influence of the Federation, and they consequently restrict its region to a certain size, because at the sole "open" side - the East - the empires of the Romulans and Klingons limit the extension of the Federation. The star Deneb, which is 3230 ly away from Earth (mere horizontal distance: 3209 ly), marks the Western border of the Federation, because Farpoint Station on Deneb IV is regarded as the last outpost before "the great unknown that starts behind" ([TNG] Encounter at Farpoint). With a distance of 773 ly (mere vertical distance: 619 ly), Rigel is a boundary star in the "South" of the Federation, because without UFP protection, the mining colony on Rigel XII "would never get help this far out" ([TOS] Mudd's Women). Generally, Antares is considered to be the "boundary stone" to the center of the Galaxy with a distance of 604 ly (vertical distance: 580 ly), although in this case, there is some scope for a still larger extension of the Federation because it seems illogical to place one of the most important yards of the Federation (the Antares IV Fleet Yards) at the border to the totality of unknown space. Consequently, on the one hand the large number of near real stars which undoubtedly belong to the Federation, for example Tau Ceti, Vulcan (40 Eridani-A), Gamma Hydrae etc., supports a quite small Federation (<200 ly), while the also often mentioned, but much farther away boundary stars indicate a Federation extension of several thousand light years and therefore affirm the theory of a large Federation. A collection of the exact distances of the nearer and farther away real stars of Star Trek you can find in the table The positions of the real stars. Despite all speculations and assumptions about the "theory of a small Federation", it should be taken into consideration that a too small Federation is as problematic as a too large one. It is an official fact that their are at least 150 Federation members, which all have their own home planet and possibly several dozen colonies, therefore for all these planets, a certain space is needed. Consequently, at any rate a - not necessarily homogenous and jointed - space region of at least 1000 ly would be realistic, taking into account that, although nearly all stars have planets in the Star Trek universe (as mentioned in one episode), not every planet is of class M and not every class M planet is inhabited by an intelligent species that has already invented warp propulsion and furthermore wishes to be a member of the Federation, or is at least allowed to become one in view of the strict admission criteria (global government, high social standards etc.). These various requirements are probably a reason for the fact that the Federation hasn't grown significantly in the last one hundred years - there are about 50 new members since 2265 (in contrast to about 100 new members since the foundation of the Federation 2161 and 2265). And we furthermore shouldn't forget: not even our own home planet accomplishes a single of the criteria for a Federation membership at the moment. The moderate growth leads to yet another problem for a too small Federation territory: because since the 23rd century, beside the size of the Federation also the usual cruising speed of vessels (300-400c) hasn't changed significantly, those species first discovered in the 24th century like the Ferengi and Cardassians, whose empires are located near the current Federation border in the Alpha quadrant, should have been discovered much earlier. It's true that the Federation was probably mostly located in the Beta Quadrant in the 23rd century, and the "Western" border was correspondingly nearer to Earth (whereas the "Eastern" border was nearly the same at that time due to the adjoined empires), but it was always Starfleet's mission to explore the vastness of unknown space beyond the final frontier. However, if we examine the task area of the first Enterprise during its fifth five year mission in the 2260s (mostly near Earth and in the Beta quadrant), the suspicion seems to harden that the deep Alpha quadrant was actually "taboo" in the 23rd century. A possible reason could be for instance contemporary historical and political backgrounds, of which we don't know anything: after all, during the few exploring missions in the Alpha quadrant, the Enterprise always encountered a dangerous, powerful new species. Consequently, it is possible that the empires of these species were much larger than in the late 24th century and also included the regions currently belonging to the Cardassians and Ferengis, who perhaps where restricted to their home systems at that time, limiting the size of the Federation in that way. However, those members which joined the Federation in the 24th century must have been mainly Alpha Quadrant planets, since the borders and consequently the Federation size in the Beta Quadrant are unalterably fixed - the Romulan star empire, the Klingon empire and the Tholian Assembly surely wouldn't allow an expansion of the Federation in these regions. Furthermore, regarding the Western border in the Alpha Quadrant, that was also fixed in the 24th century by a strengthened Cardassian Union and the mysterious Breen Confederacy, it becomes obvious that the situation of the Federation as a classic "middle power", surrounded by a large number of other great powers, is a further reason for the (relatively) constant size. The map of local space in the Galactic Atlas produces the visual evidence that even the number of known planets within the Federation is too large to facilitate a Federation size of a mere hundred light years. Although nearly every episode, every movie, every book and every map seems to use another Federation size, the numerous mentioned examples have shown that the episodes, movies, books and other aspects of the Star Trek universe each always - whether directly or indirectly - plead for one of two theories: the theory of a large Federation, which suggests a Federation size of 10000 ly (more precisely: 8000 ly), or the theory of a small Federation, which postulates a considerably smaller Federation size in the range of a few hundred till less than hundred light years. Thesis: The Federations has an extension of almost ten thousand light years.. Conclusion: The theory of a large Federation can't be ignored for the mere reason that it is directly proven by the Star Trek Encyclopedia and Star Trek: First Contact. It is true that there is almost no on screen support (only in The Next Generation), however, some special aspects of the Star Trek universe underpin this theory. Thesis: The Federation territory has an extension of a few hundred light years, possibly even less than hundred light years. Conclusion: Especially the DS9 universe is mainly based on a only few hundred light years large Federation, but also rational considerations in view of the government of such a large empire and the voyages throughout the entire Federation, that were shown in all episodes and movies, support these theory. Apparently, we now have two theories for the size of the Federation, both supported by a considerable number of aspects and which both can't be disregarded without further considerations: after all, the 8000 ly large Federation has been officially confirmed, and the whole DS9 universe is based on a small Federation, that would collapse like a house of cards if the distances between the core planets of all important empires were longer than 100 ly. Because both theories consequently have a right to exist, there is no point in the further search for the ultimate proof for the one or the other theory; instead, a unification of both has to be considered, although this seems to be impossible at the first glance. With this quote of Captain Picard, the extension of the Federation territory is fixed to the 10000 ly suggested by the Encyclopedia, that is incontrovertible. However, one should pay attention to the tricky wording, which does not explicitly demand a Federation territory of several thousand light years in the end. Instead, the spatial distribution of the planets over a region with a diameter/length/width/height of 8000 ly is mentioned. This finally leads to the idea that the Federation territory, where quite a lot non-aligned planets like Antede or Antica are located and that therefore naturally must have numerous "holes", not only resembles a Swiss cheese - even then the territory would still be far too large to facilitate the short distances seen in ST:DS9 -, but is distributed over this area in several fragments - what eventually corresponds to a synthesis of both competing theories, which shall be elaborated in the next paragraph. How the quote from Star Trek: First Contact shows, the central idea of the new theorie does not concern the maximum extension of the Federation - indeed, this is completely peripheral -, but refers to its inner structure. The Federation must not simply be decentralized (that is already a basic criteria for every interstellar alliance that exceeds a size of several dozen light years - otherwise, the political order would not be maintainable), but has to have a polycentrical structure with differing hierarchy. That means: on the one hand, there is a core region of the Federation that is only few hundred light years or even less than hundred light years large, where all core planets (Earth, Alpha Centauri, Vulcan, Andor, Tellar) are situated. This area is restricted by the five adjoining powers and has not significantly changed its size for hundred or more years. In the relatively small core region, the whole action of Star Trek: Deep Space Nine takes place, what explains the short distances and travelling times in this series as well as the huge ship fleets that operate in a pretty small volume. We have reached the point where of course the legitimate question arise how this theory can be conclusively proven. Basically, the plausibility and logic supports this solution of the Federation size problem, if we consider the political structure of the Federation, Starfleet's mission and the general state development in deep space (even though this point has not been empirically proven yet). At any rate, we cannot compare interstellar planetary alliances with international alliances, how Rick Sternbach (who has quasi laid the foundation for this theory with his own Federation+colonies thesis) has constantly remarked. From a general point of view, space actually is a single, homogenous, politically neutral zone, since 99.9% are vacuum. Only in extremely long distances - within the Milky Way every 1pc on average, there is a point that can be claimed at all, and in still longer distances there is a class M planet, which is inhabitable and only therefore relevant for a interstellar empire. In addition, the Federation isn't an empire like the Romulan Star Empire or the Klingon Empire, but a loose alliance of planets with any spatial position, which fulfill certain criteria. Consequently, the possibility of a compact, clearly isolated region, how it is the case with a empire based on conquest and subjugation, is not given from the very beginning, but a) a certain distance of the planets and b) a very large spatial volume, in which these planets are scattered, is forced. By the probable historical development of the Federation in view of Starfleet's mission, the synthesis of both theories is underpinned: Starfleet was founded in the 22nd century with the maxim to explore unknown regions, to seek out new life and to boldly go where no one has gone before. Therefore, Starfleet has specifically explored deep space at this "pioneer time" and surveyed especially the scientifically interesting regions near Rigel, Rigel, even the border of the Galaxy and set up Federation outposts at this far away locations. On the other hand, while exploring deep space Starfleet surely has also discovered populated planets already fulfilling the membership criteria of the Federation, which were then admitted to the planetary alliance. In both cases, the Federation was extended at certain, single points, without systematically exploring the region near Earth - planet for planet. This was only done in the 23rd century, the "settlement period", what is proven by the discovery of numerous new civilizations only a few dozen light years away from Earth during the five year missions of the Enterprise. Simultaneously, the more significant outposts that were too far away from the Federation for a direct connection, were extended and and further planets were settled near the core planets, for instance Antares or Rigel. While the central core region of the Federation grow together to a large extent, because of their long distances these regions remained self-contained - the described "fragments" of the Federation arose. However, plausibility, logic and realism are not the sole arguments by any means, which support this new theory. In the end, all arguments which were mentioned with regard to the two apparently opposing theories, do also apply to the synthesis of both theories: as already mentioned, there is no reason that the diverse indications for the Federations size in Star Trek: Deep Space Nine always applied merely to the core region, which in the end is the main part of the Federation. In contrast, in ST:TNG, the non-aligned space between the Federation and the other Federation regions were explored. With the survey of these extensive, several thousand light years large regions by the Enterprise-D and numerous other deep space vessels, the large numbers of the sector system are understandable: with a mere chronological designation of newly discovered sectors, already countless regions outside the core region were explored and numbered, when the new sectors in the Alpha Quadrant joined the Federation, what then results in numbers in the range of 21000 near Cardassian space. Because stars like Barzan, Rigel, Antares and Deneb do not belong to the core region of the Federation, the transgalactic situational relations and the situation of real stars does not contradict with the other arguments concerning the Federation size any longer. But forming a coherent alliance is made much more difficult due to the technical limitations of warp propulsion (maximum sustainable speed still warp 6) and of subspace radio (interstellar only realizable with subspace relay stations every 22.65 ly). Basically, one has to assume that the regions are completely self-contained concerning supply and defense, proven by the situation of important fleet yards near Antares IV and Rigel. Because of the self-organization, there is no need for defense and support. However, also a political independence to a large extent cannot be prevented, but because the Federation isn't an empire and all really important planets are concentrated within the central core region, a political connection between the outer regions and the core regions is actually not necessary. These regions do mostly profit from the Federation membership - for example due to the opportunity to set up own ship yards according to the pattern of the Federation and to form own tactical fleets within Starfleet (what leads to the described situation, that "the left hand of Starfleet does not know of the actions of the right hand"), while raw material deliveries (e.g. Dilithium from the mines of Rigel XII) or technology transfers (with the construction of starships in the yards of the outer regions and the following re-assignation and transportation to a yard in the core region) are only necessary to a low extent. In the end, the Federation membership mainly refers to the belief in common values - freedom, legal protection, protection of the dignity of all life forms and a common purpose of life - in order to attempt to advance the own existence as well as the rest of the Federation, irrespective how far the rest of the "large family" is away.